Beverly Wendland, a distinguished biologist known for dedication to undergraduate and graduate students, commitment to diversity, and advocacy for innovative teaching and liberal arts education, has been appointed dean of the Krieger School of Arts and Sciences at Johns Hopkins University. Wendland, who has served since July as interim dean, assumes the Krieger School's James B. Knapp Deanship immediately, said Ronald J. Daniels, president of the university. Daniels, along with Provost and Senior Vice President for Academic Affairs Robert Lieberman, recommended the appointment to the executive committee of the university's board of trustees, which approved it this week. Daniels said that Wendland, a member of the Johns Hopkins faculty since 1998, brings to her new post "a combination of vision, skill, collegiality, and purposeful action." "Beverly Wendland is the leader that the Krieger School of Arts and Sciences needs and deserves at this moment," Daniels said. "Her deep passion and high aspirations for the school, her commitment to the institutional goals we all share, and her warm and collegial spirit will serve the Krieger School and our entire university enormously well in the years to come." Wendland, selected after a national search that at one point included more than 900 potential candidates, chaired the Krieger School's Biology Department from 2009 until she became interim dean. She led the department through a strategic planning process and instituted curriculum improvements, including working with the Chemistry Department to create a new organic chemistry/biochemistry course sequence for undergraduates. Daniels called her an "early champion" of the Gateway Science Initiative, a university-wide exploration of more effective teaching in introductory science courses. As interim dean, she has instituted procedural changes in faculty searches to enhance opportunity for candidates from diverse populations. Wendland, Daniels said, also "has made new commitments to support and enhance the undergraduate experience. "Dr. Wendland has skillfully facilitated collaboration among academic and administrative leaders across the university," Daniels said. "A natural leader and consensus builder, she has won the trust and respect of all who work with her." Wendland said she is "honored and humbled" by the appointment. "I have been part of the Krieger School for more than 15 years, and I am excited for the opportunity to now serve in this leadership position," she said. Meeting alumni as interim dean, she said, reinforced for her the value of the broad undergraduate education offered by arts and sciences schools such as Krieger. "A robust liberal arts education prepares one for just about any sort of career," Wendland said. "We place high value on critical-thinking skills, decision-making, reading comprehension, writing, and other forms of communication. Our goal is to prepare our students not only for their first job, but for the positions they will hold in 10 and 20 years as well. That is how the well-rounded education we offer promotes our preparation of tomorrow's leaders." Wendland is a 1986 bioengineering graduate of the University of California, San Diego, and earned her doctorate in neurosciences at Stanford University in 1994. As a scientist, she focuses on the study of the working of cells, using simple yeast as a model to gain insight into the development and treatment of complex human disease. She is also principal investigator for a National Institutes of Health grant that provides $1 million a year for the university's Cell, Molecular and Developmental Biology and Biophysics graduate program. 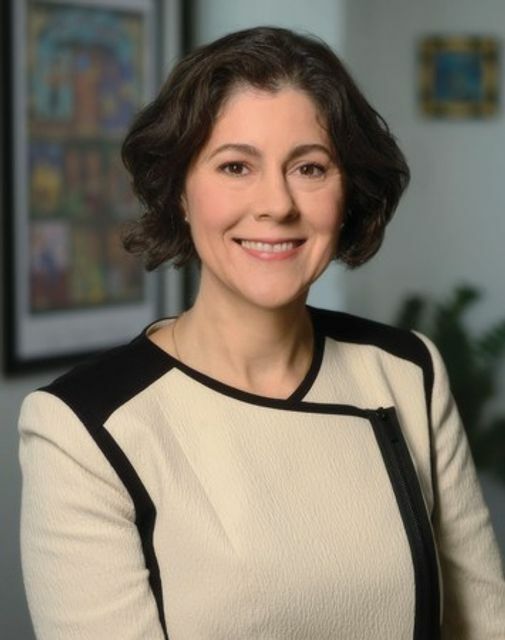 As dean, she succeeds Katherine Newman, who left Johns Hopkins last year to become provost and senior vice chancellor of the University of Massachusetts, Amherst. Johns Hopkins University is a private research university in Baltimore, Maryland. Founded in 1876, the university was named after its first benefactor, the American entrepreneur, abolitionist, and philanthropist Johns Hopkins. The first research university in the Western Hemisphere and one of the founding members of the American Association of Universities, Johns Hopkins has ranked among the world’s top universities throughout its history. Johns Hopkins is organized into ten divisions on campuses in Maryland and Washington, D.C. with international centers in Italy, China, and Singapore.